EXACTLY eight years ago Mark Cooper, a wheelchair user, scored a major victory when his ‘Barred!’ crusade resulted in a licensing law change. His battle started after a night out with friends at an Edinburgh pub was cut short when he discovered that the toilets could only be accessed by a flight of stairs. 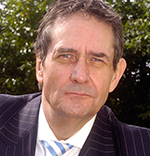 Victory was secured when a provision in the Criminal Justice and Licensing (Scotland) Act 2010 required new licence applicants to set out access information for disabled customers – although that obligation only came into effect on March 30 this year. The so-called ‘disabled access statement’ (DAS) is designed to help those with disabilities find suitable venues as well as focus licensees’ minds on how they might improve access arrangements. But the practical impact of the move is open to debate. Until regulations governing the public registers held by licensing boards are updated, the public won’t have easy access to the information contained in the DAS. More fundamentally, there’s no obligation to put specific measures in place, no legal duty to comply with the terms of the statement (it doesn’t form part of the premises licence) and any changes to the detail needn’t be notified to the licensing board. These limits aren’t surprising: it’s a cardinal principle of liquor licensing law that it must not stray into areas covered by other legislation. Back in 2011, the Court of Session ruled that Glasgow licensing board had exceeded its powers by invoking a ‘code of conduct’ purporting to regulate certain health and safety matters. The expense for any adjustment must not be passed on to the disabled person. But while the DAS requirement may not have sharp teeth, the Equality Act 2010 does provide protection for those suffering from a disability. And while a DAS will focus on the provision of access for those with impaired mobility or sight – looking for information on ramps, accessible floors, toilet provision, large-print menus and so on, the 2010 Act’s definition of “disability” is wider. A person has a disability if he or she “has a physical or mental impairment and the impairment has a substantial and long-term adverse effect on [his or her] ability to carry out normal day-to-day activities”. Service providers need to be particularly aware of “hidden disabilities” such as epilepsy, dyslexia, Asperger’s syndrome and various mental health conditions. Consider the recent case of Kayla Hanna, a student with diabetes whose Lucozade bottle was confiscated by security staff at a Belfast music concert, despite producing her insulin pack and blood sugar monitor. While the venue was entitled to have a policy preventing customers from bringing in their own drinks, the rule couldn’t be operated in an inflexible manner. A judge agreed that Hanna had been the victim of unlawful discrimination and awarded her compensation of £2000. The security staff ought to have made a “reasonable adjustment” to the policy: for example, they might have made arrangements for her to obtain the Lucozade during the concert if she required it. The duty to make adjustments is designed to ensure that a disabled person is not placed at a substantial disadvantage compared to people who are not disabled. It’s also “anticipatory”, requiring pro-activity rather than a response to particular situation, so that staff disability awareness training is of the essence. A number of factors are relevant in determining whether the adjustment is reasonable, such as: the costs – taking into account the service provider’s financial resources – and the extent to which it is practical to make the change. 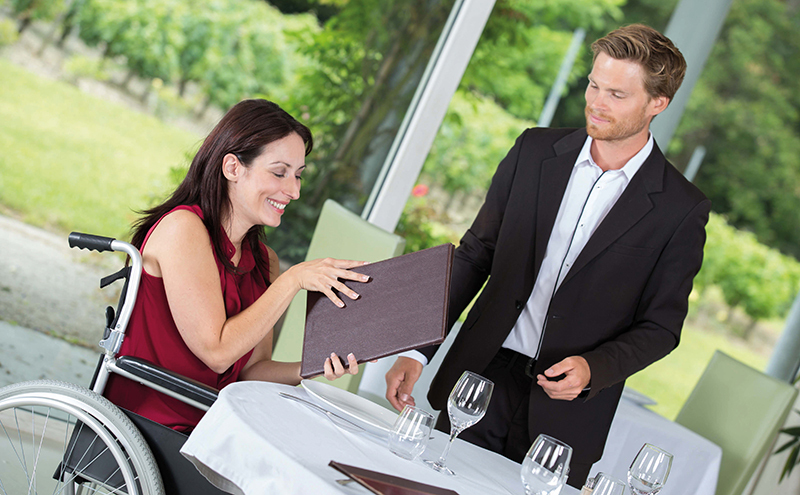 For example, in catering for the blind or visually impaired, it may not be reasonable to expect a restaurant with a daily-changing menu to provide a Braille version, but it would be reasonable to make a large-print version available or ensure that staff offer to read through the menu for the customer. The expense incurred by any adjustment must not be passed on to the disabled person.